ESET is one of emerging antivirus software for home and business users. 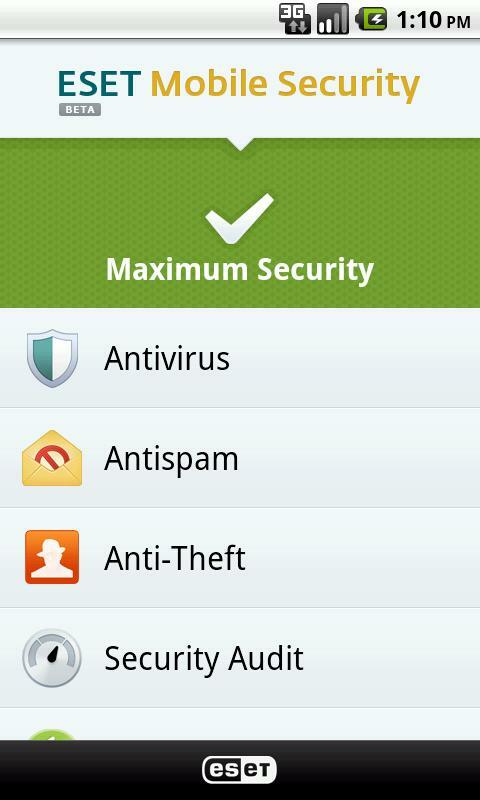 Now they penetrated the mobile device industry with ESET Mobile Security for Android. It is a comprehensive security package for Android that provides antivirus, antispam, anti-theft, security audit and more. Aside from typical virus and spam scanner feature, one notable advantage of this app is the Anti-theft feature. The feature allows you to add trusted SIM cards and phone numbers. You will be alerted with an SMS upon installation of an unauthorized SIM. You can manually update its virus database from within the Update screen or you can set an interval for automatic updates. It is still under BETA version and current FREE to use.